Voor journalist Leander Kahney was dit reden om een biografie over Tim Cook te schrijven, die is inmiddels uit en heet Tim Cook, The Genius Who Took Apple to the Next Level over zijn carrière bij Apple tot begin 2018. Leander Kahney maakt met de titel overduidelijk dat hij veel bewondering heeft voor zijn onderwerp. Ik heb jammer genoeg nog geen stukjes van het boek gevonden om te kunnen citeren, maar wel dit interview van AppleInsider met de schrijver, dat je hieronder in zijn geheel kan lezen. 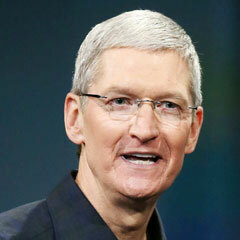 Question: Why is writing about Tim Cook at this point in his career important? Leander Kahney: When he took over, the narrative was that "Apple is doomed," that Apple is screwed without Steve Jobs, that Apple would become like Microsoft when Steve Ballmer took over. It would be a slow decline and the company will be over. And that narrative persists today, I mean look at the reaction to this book and everyone saying the same thing, "This guy's overrated, he's ruining Apple, he should resign." But if you look at a lot of objective measures, everything from the stock price to the value of the company to the number of products they're selling to things like the Apple Watch. Question: You mention Cook has six core values — accessibility; education; environment; inclusion and diversity; privacy and security; and supplier responsibility — that are known throughout the company. When did you first become aware of those and what effect do they have on Apple? Leander Kahney: The funny thing is they articulated them after I found out about them, or rather they started to publicize them. I found out about them when I was interviewing (vice president of environment, policy and social initiatives) Lisa Jackson, the PR person that was sitting in on the meeting said, "This is one of Tim's six core values that he talks about internally. "I hadn't heard any other mention of them. I think it was kind of the stuff that Tim had in his notebook, on the back of a napkin. The kind of things that he had been, over the last few years, instinctively, intuitively pushing. The things that were important to him because of his supply chain background and because of his love of nature and the outdoors. Question: The first thing that popped out when reading the book was that Cook, when ultimately promoted to chief operating officer, he was in charge of as many as 40,000 workers. Would you say that his impact on the culture of that group helped ease his transition into the role of CEO? Leander Kahney: I think that he's sort of been — around the time he became the COO — I think he also became in a lot of ways the de facto CEO around that time. Jobs was sick for the first time just shortly after that and so [Cook] became the interim CEO. From what I could tell, Cook was kind of running more and more, he was the deputy, the right-hand man. And Jobs was spending more and more time doing the things that he enjoyed, which was mainly hanging out in the industrial design studio. Question: Do you think this time as "interim CEO" helped inure the other executives and everyone below them to the idea of Cook as CEO? Leander Kahney: Maybe, although it's not a hundred percent clear, but it looked to me like Jobs had had him pegged as potentially a CEO going way back, even to the early 2000s. In conversations with Horace Dediu, the analyst, he's talking about how Jobs is the only generalist at Apple. Everyone at Apple is a specialist, you know, they all specialize in something and people don't hop around jobs, except for Steve Jobs. He's the only person that didn't have a clear speciality, he was like a jack of all trades. And the only other person who had that role was Tim Cook. Cook was brought on as an operations specialist and he fixed up the supply chain and then he was made head of sales and he was head of the Macintosh division, you know, then he was made COO. So he was kind of jumping around different jobs in the same way that Steve Jobs was doing. Question: And now that Cook's in charge, do you see him following that same pattern with any other executives? COO Jeff Williams is now in charge of Watch, so he's kind of moved away from what would be considered his normal purview. Leander Kahney: Well, you know, I hadn't thought about it to be honest, but now that you mention it, yeah. It does sound like Jeff Williams is becoming the new Tim Cook. Question: The book was written across 2018. Has anything changed since then? For example, the rare guidance revision in January, do you think that's a blip or indicative of something more systemic as far as Cook's leadership is concerned? Leander Kahney: I think it's external factors. I think the smartphone market has matured. That explosive growth is behind us now, so [it impacts] everyone, not just Apple. The last quarter, the dip in iPhone sales was thanks to slowing sales in China. I don't think it's systemic, I don't think it's anything going on at Apple. 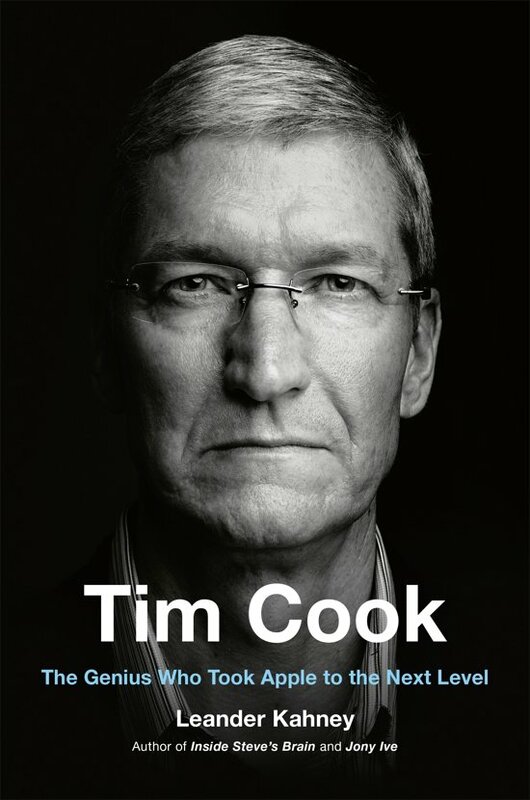 Question: What was a key takeaway about Tim Cook that you learned through the course of researching this book that surprised you or has it all been out there and you just collected it? Leander Kahney: Well that's a funny thing. You know, like you said, it is kind of out there. I follow Apple as closely as anybody, but I was surprised by those six core values and how they have informed the way that he's run a company. And even though a lot of this stuff was like, he hired Lisa Jackson, they announced they were going a hundred percent renewable. You know, I saw the public announcements, but it wasn't until I sort of dug into it that I put the dots together. When I started to get into and looked at these six values, that was what surprised me. The extent to which he is remaking Apple according to those six values and what a big impact it's having. Question: Anything else that sticks out? Leander Kahney: Well, you know, one of the questions that people ask me about, what is the difference between Jobs and Cook. This is kind of surprising too and kind of took me a while to sort of figure out and put together. Jobs was really competitive and he really valued competition internally. You can go all the way back to the original Macintosh, and the Mac, they had them in a separate building and they had a pirate's flag, and they were the geniuses and everyone else in the company was a bozo. It was very antagonistic and he did the same thing with the iPhone development, he had Tony Fadell competing against Scott Forstall internally to try to see who could come up with the best ideas for making a cell phone. They worked in silos, everyone was very secretive. It was like a public declaration of how he was going to manage Apple. Collaboration, cross fertilization are the coin of the realm and this is how he wants to run the company. And then you look at the spaceship campus, I mentioned this in the book, that the campus was sort of designed — probably not by Jobs — to try to do that, to to get more people to collaborate, to talk, not to be locked in their offices, but to get out and to spread ideas around the company. Those ideas are sort of writ large in architecture. Leuk om dit te lezen, ook al is het maar een fractie.